Amgen has filed its closely watched PCSK9 inhibitor Repatha (evolocumab) in Japan for the treatment of high cholesterol. Repatha is an investigational fully human monoclonal antibody that inhibits proprotein convertase subtilisin/kexin type 9 (PCSK9), a protein that reduces the liver’s ability to remove low-density lipoprotein cholesterol (LDL-C), or ‘bad’ cholesterol, from the blood. PCSK9 is a protein that targets LDL receptors for degradation and thereby reduces the liver’s ability to remove LDL-C, or “bad” cholesterol, from the blood. On 23 January 2014 Amgen announced that the Phase 3 GAUSS-2 (Goal Achievement After Utilizing an Anti-PCSK9 Antibody in Statin Intolerant Subjects-2) trial evaluating evolocumab in patients with high cholesterol who cannot tolerate statins met its co-primary endpoints: the percent reduction from baseline in low-density lipoprotein cholesterol (LDL-C) at week 12 and the mean percent reduction from baseline in LDL-C at weeks 10 and 12. The mean percent reductions in LDL-C, or “bad” cholesterol, compared to ezetimibe were consistent with results observed in the Phase 2 GAUSS study. World Health Organization (2012). “International Nonproprietary Names for Pharmaceutical Substances (INN). Proposed INN: List 108” (PDF). WHO Drug Information 26 (4). Pierson, Ransdell (17 March 2014). 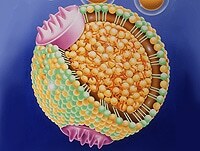 “Amgen drug meets goal for those with high genetic cholesterol”. Associated Press. Retrieved 19 March 2014. Chugai has filed an NDA based on evidence in the public domain with Japan MHLW seeking approval for the additional dosage and administration of once a week Herceptin for post surgical adjuvant administration in breast cancer that over express HER2. In Japan, Herceptinis currently marketed for the indications of “breast cancer that overexpresses HER2,” and “advanced or recurrent gastric cancer over expressing HER2, not amenable to curative resection. The filing was made based on the decision at the meeting of the Second Committee on New Drugs, Pharmaceutical Affairs and Food Sanitation Council, held on January 31, 2013, which confirmed that filing through the “NDA based on evidence in the public domain” was reasonable for this additional dosage and administration. Trastuzumab (INN; trade names Herclon, Herceptin) is a monoclonal antibody that interferes with the HER2/neu receptor. Its main use is to treat certain breast cancers. The original studies of trastuzumab showed that it improved overall survival in late-stage (metastatic) breast cancer from 20.3 to 25.1 months, but there is controversy over whether trastuzumab is effective in earlier stage cancer.Trastuzumab is also controversial because of its cost, as much as $100,000 per year, and while certain private insurance companies in the U.S. and government health care systems in Canada, England and elsewhere have refused to pay for trastuzumab for certain patients, some companies have since accepted trastuzumab treatment as a covered preventative treatment. 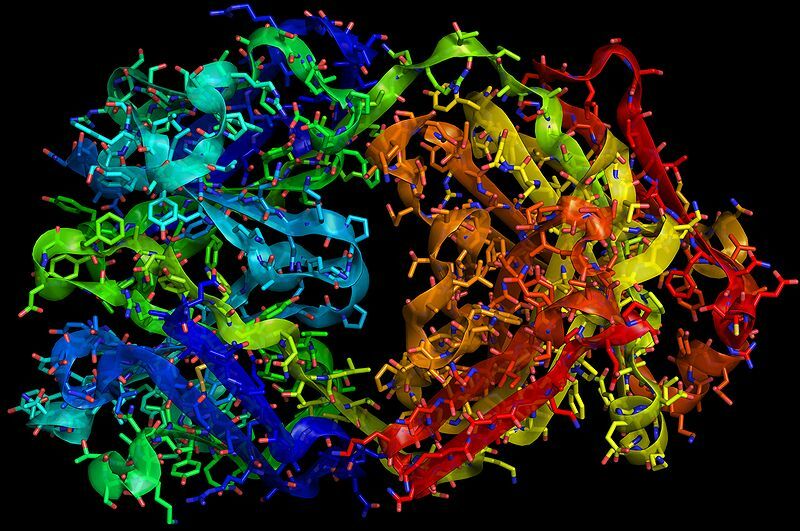 Trastuzumab is also being studied for the treatment of other cancers. It has been used with some success in women with uterine papillary serous carcinomas that overexpress HER2/neu. 129 Herceptin and early breast cancer: a moment for caution [Editorial]. Lancet 2005;366:1673. “Herceptin or Trastuzumab: Efficacy, Side Effects”. Health and Life. “At last, Axa pays for Herceptin”. 2006. Vecchione L. Novel investigational drugs for gastric cancer.Expert Opin Investig Drugs. 2009 May 26. [Epub ahead of publication]. Review /article. Santin AD, Bellone S, Roman JJ, McKenney JK, Pecorelli S. (2008). “Trastuzumab treatment in patients with advanced or recurrent endometrial carcinoma overexpressing HER2/neu”.Int J Gynaecol Obstet 102 (2): 128–31.doi:10.1016/j.ijgo.2008.04.008. PMID 18555254.